WASHINGTON -- A divided Supreme Court wrestled Monday with a task that may be beyond its control: making the trains run on time. Performance standards that Amtrak, the nation's passenger railway, helped to create in 2010 certainly moved in that direction. But when a federal appeals court negated them last year, performance dropped. The federal government wants them reinstated. At least half the justices appeared to agree with the lower court, rather than the government, on the case's crucial point: Amtrak, they said, was a quasi-private corporation that shouldn't be allowed to write the rules of the railroad. An equal number of justices appeared to disagree, arguing that the government created Amtrak, funds it and appoints most of its board members. As such, they said, the government can delegate power without violating the Constitution's "non-delegation principle" or due process clause. How the court decides the issue could have a major impact on the quality of passenger and freight rail service. 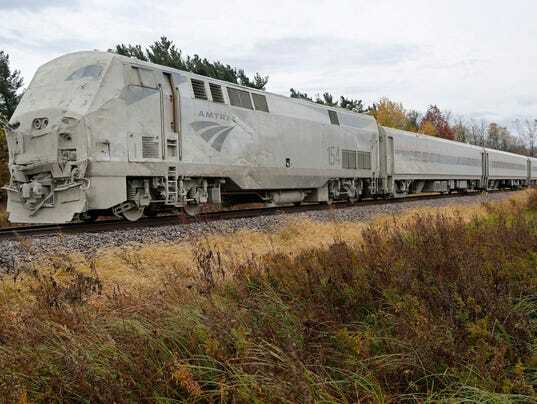 If Amtrak can set standards, it can establish priority over the private freight railroads on the other side of the legal dispute. If it lacks such authority, freight service would have greater influence. The court's more conservative justices seemed to side with the U.S. Court of Appeals for the D.C. Circuit, which ruled last year that Congress cannot delegate such broad power to Amtrak. "That's a significant regulatory impact, to tell railroads I, a private party, get to start a governmental proceeding, and you have to show up to defend it.," Chief Justice John Roberts said. "Suppose that the government, together with auto manufacturer 'A,' made standards, but then auto manufacturers 'B' and 'C' had to follow them," Justice Anthony Kennedy said. "That seems wrong. Why is this different?" The more liberal justices appeared to side with the government. Justice Stephen Breyer said it's not unusual for private entities with expertise to be granted power to set standards for their industries, such as those that oversee the Internet. Several of his colleagues virtually equated Amtrak with the government. "It's entirely funded by Congress. All the members of the board are appointed by the president, with the advice and consent of the Senate, save one," Justice Elena Kagan said. "Other than this label, what suggests that this is not the government?"